Collection of material relating to the designers and typographers Banks and Miles [Colin Banks; John Miles], assembled by Montague Shaw for his monograph on the firm. Dating from between 1988 to 1991. Monty Shaw's 'Banks and Miles: Thirty Years of Design Evolution' was supposedly published by Lund Humphries (London) in February 1993 but no copy can be found on the internet (one listed on WorldCat appears to be a ghost).. 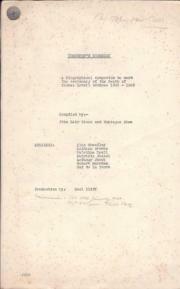 This collection, in a buff card folder, contains material relating to Shaw's monograph, grouped as follows: ONE. 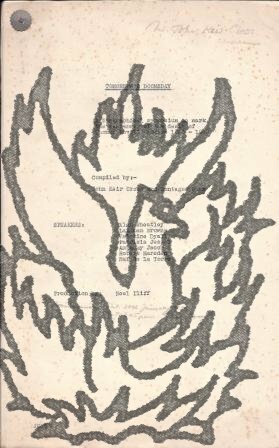 Collection of papers relating to the editing and design by Montague Shaw of Michael Simonow's two books on the Polish artist Zdzislaw Ruszkowski ('Unofficial War Artist' and catalogue raisonné), with correspondence by the artist and photographs. 1984 to 1987. Both books were published in London by Mechanick Exercises: 'Unofficial War Artist' in 1985 and the catalogue catalogue raisonné in 1987. The collection is in very good condition, containing four items of autograph correspondence from Ruszkowski to Shaw, all signed 'Zdzis'. One: Autograph Letter Signed. Undated. 8vo, 3 pp. Expressing his extreme disappointment with 'the proposed arrangement of the double-page and the suggested treatment of the illustrations. 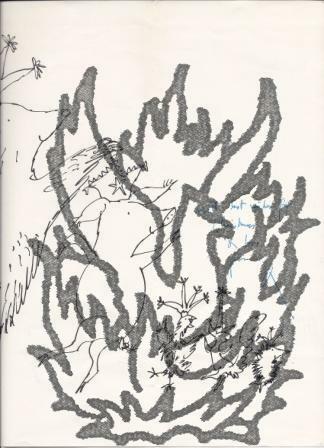 'Nearly one third of the drawing [sic] is left out and alters the sense of the theme. Each illustration is composed to stress the situation and can't be mutilated at the will to suit the arrangement at the page. Original finished coloured comic drawing, showing a large penguin [Jan Tschichold?] dragging a bearded man [Montague Shaw?] who clutches a set of letters spelling 'Fabers', signifying the man's move from the publishers Faber & Faber to Penguin Books. Dimensions 29 x 12 cm. Pasteboard mount, 31 x 14.5 cm. In blue, black and white. In good condition on lightly-aged paper. In front of a background of ricketty railings, a jolly bespectacled penguin [with Tschichold's sprightly eyes], with a Penguin book under his left arm, and preceded by a letter P and followed by an n, drags a bespectacled, bearded man (looking a little like a young Michael Bentine) towards the right of the drawing. Corrected galley proof of nonsense poem by 'M. S.' [the Faber & Faber production manager Montague Shaw?] entitled 'Cowkeeper's Tune'. The text area is about 13.5 x 30 cm, on the top half of a slip of paper around twice as long. Text clear and complete. Good, on lightly-aged paper. The lower half of the slip is blank apart from the pagination 196. Headed 'EPILOGUE | COWKEEPER'S TUNE', and beginning 'Unless your window is fitted with very strong iron bars and, just to make sure, your window locks, | Do not attempt to keep a Dexter cow in your window box.' Signed in type at end 'M. 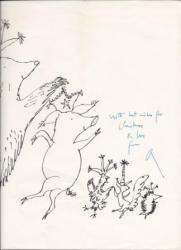 Christmas illustration by Quentin Blake, for his own personal use, with an autograph inscription signed by him ('Q'). Undated [1970s? ]; sent from his address 23 Gledhow Gardens, London SW5. Reproduction of black and white drawing in Blake's inimitable style. 4to (34 x 29.5 cm). Good, with a little light creasing. Reproduction of black and white drawing in Blake's inimitable style. Depicts anthropomorphic bear, pig, chicken, squirrel and hedgehog in a line from largest to smallest, all with party hats, smiles on their faces and forepaws and other front limbs aloft. Blake's address, as part of printed piece, written upwards along left-hand margin. [Printed pamphlet.] Shakespeare and the Stoicism of Seneca. (An Address read before the Shakespeare Association 18th March, 1927). By T. S. Eliot. London: Published for the Shakespeare Association by Humphrey Milford, Oxford University Press, Amen House, Warwick Square, E.C. 1927. 8vo, 17 + [i] pp. Stapled. In original grey wraps. Aged and worn copy of a scarce item. Reproduction of black and white drawing in Blake's inimitable style. 4to (34 x 29.5 cm). Good, with a little light creasing. Reproduction of black and white drawing in Blake's inimitable style. Depicts anthropomorphic bear, pig, chicken, squirrel and hedgehog in a line from largest to smallest, all with party hats, smiles on their faces and forepaws and other front limbs aloft. Blake's address, as part of printed piece, written upwards along left-hand margin. Genuine autograph inscription by Blake, in blue ink, at right of drawing, reading 'With best wishes for Christmas & love from Q'.